One verse appears to say that Michal had no children; the other one appears to say that she had five sons. Is this a contradiction? No, it is not a contradiction in the King James Version. That may seem like a surprising claim, but I will explain it later in this article. However, what is really of concern is whether this is a contradiction in what the book of Samuel originally said. Let’s look at that question. The Masoretic Text (MT), the standard medieval version of the Hebrew Bible—the Old Testament (OT) in Hebrew—on which the KJV and other English translations have generally been based for the OT, has “Michal” at 2 Samuel 21:8. However, the MT is a medieval critical edition of the Hebrew Bible (ca. AD 900) produced by Jewish scholars well over a millennium after the OT books were all written. As such, it can and does have some mistakes (although it was very, very well done and extremely accurate, all things considered). Since the times of the KJV, numerous manuscripts have come to light that enable scholars to refine the text of the Bible and make contemporary editions even more accurate. These include, according to the Jewish Publication Society (JPS) edition called Tanakh, two Hebrew manuscripts, many Septuagint manuscripts, the Peshitta (an ancient Syriac translation), and the Targum (an Aramaic paraphrase), all of which dated from centuries before the MT. In several of these earlier copies and translations of the OT, one finds the name Merab at 2 Samuel 21:8 instead of Michal. This is a textually superior reading and so scholars rightly adopt this reading of the text instead of the inferior, medieval reading of the MT. Almost all contemporary translations of the Bible do so, including versions not published by evangelicals. For example, the JPS Tanakh has Merab there, as does the NRSV, the New Revised Standard Version (produced by a wide range of scholars from different religious backgrounds). The ESV, HCSB, NAB, NASB, NIV, NJB, and NLT all have Merab at that text. The New King James Version (NKJV), which of course is a revision of the KJV, is the only major contemporary English version that has the name Michal at 2 Samuel 21:8. Notice that the conclusion that the text should say “Merab” instead of “Michal” is not based on a desire to eliminate contradictions or discrepancies from the Bible. Rather, the scholars look at the available textual evidence, weigh that evidence, and reach a considered judgment as to which wording is most likely the closest to the original text. It is not as if fundamentalist scholars got a letter from Richard Dawkins informing them of the problem at 2 Samuel 21:8 and then those scholars, shocked to learn about this glaring error in the Bible, decided to change the text to avoid the difficulty! There are also two contextual reasons to think that the name Merab is correct in 2 Samuel 21:8. First, both 2 Samuel 6:23 and 21:8 are part of the same book, written by the same author. It is unlikely that an author would so blatantly contradict himself within the same book on so simple a factual issue. More likely, the author wrote a different name at 21:8, not Michal, and a copyist somewhere along the line made a mistake and wrote Michal by accident. You can see how this might happen, especially because both names start with the same letter. Copyists tend to work more “mechanically” than authors, so the mistake is more likely to be a scribal error than an authorial one. Second, according to the same author again, Merab was Saul’s older daughter, and she was married to Adriel the Meholathite instead of to David (1 Sam 14:49; 18:17, 19). 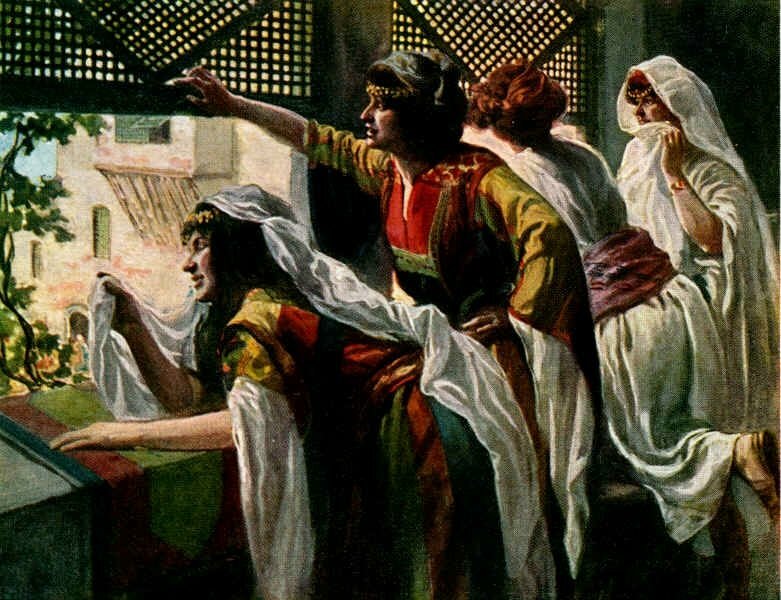 2 Samuel 21:8, the verse that supposedly contradicts 2 Samuel 6:23, refers to Saul’s daughter there as the mother of five sons of Adriel the Meholathite. This part of the text confirms that Merab is the correct reading. By the way, although the King James Version translators cannot be faulted for following the MT Hebrew text in using the name Michal at 2 Samuel 21:8, they did make a mistake in that verse for which they can legitimately be faulted. Evidently they recognized that as it stood the verse contradicted 2 Samuel 6:23. Seeking to harmonize the two verses, they translated 2 Samuel 21:8 to say “the five sons of Michal the daughter of Saul, whom she brought up for Adriel the son of Barzillai the Meholathite.” Notice the point this wording appears to make: the five sons were not her own biological children, but they were her husband’s sons from a previous marriage and she simply “brought up” or raised the boys for him. That makes sense as it stands and avoids a contradiction in the King James Version. However, it does so by misinterpreting the Hebrew word yaldah (about which there is no textual debate). The word yaldah meant to bear or give birth to a child, not to raise a child after birth. Thus, the contemporary versions cited earlier correctly translate the verb here (usually as “bore” or “had borne”). The KJV translator or translators responsible for this mistake may have been well-meaning, but it’s still the kind of mistake that good translators try hard to avoid.